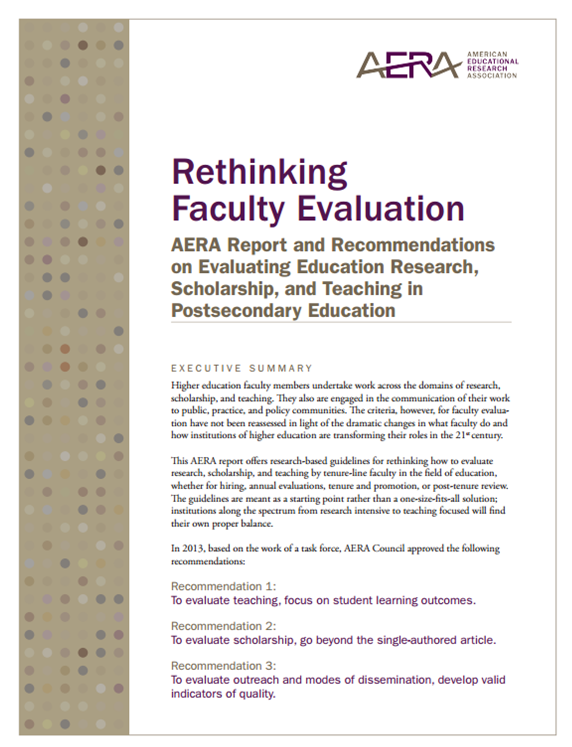 In light of the dramatic changes in what faculty do and how colleges and universities are transforming in the 21st century, the AERA report, Rethinking Faculty Evaluation, offers research-based guidelines for rethinking how institutions of higher education evaluate research, scholarship, and teaching for tenure-line faculty. The briefing addressed teacher effectiveness, evaluation policies and practices, and policies likely to support sound teacher evaluation. 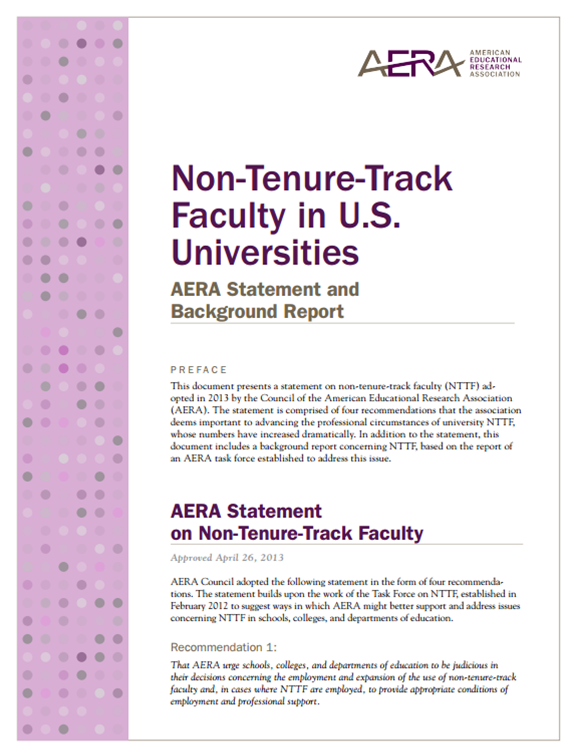 With a focus on the dramatic increase in non-tenure-track faculty in schools, colleges, and departments of education -- and on the working conditions they encounter -- AERA issued a statement and background report in November 2013 on advancing the professional circumstances for these faculty members.